open your ears that ye may hear, and your hearts that ye may understand, and your minds that the mysteries of God may be unfolded to your view. The Bible contains numerous examples of people talking about the mysteries (sacred secrets) of God. In Matthew 13 Jesus speaks in parables to a multitude. His disciples then question him and ask him why he speaks in parables to the people rather than just come right out and say it directly. Jesus then answers by saying “…it is given to you to know the mysteries of God but to them it is not given.” This fits in with Jesus’ warning in Matthew 7 not to cast our pearls before swine. In other words, some people haven’t opened their hearts and minds to be able to understand the sacred secrets of God and if they’re not ready it’s of no use to try to teach them. Another New Testament example is found in Ephesians 3. In this verse Paul discusses how mysteries are made known to Jesus’ people through His apostles and prophets. 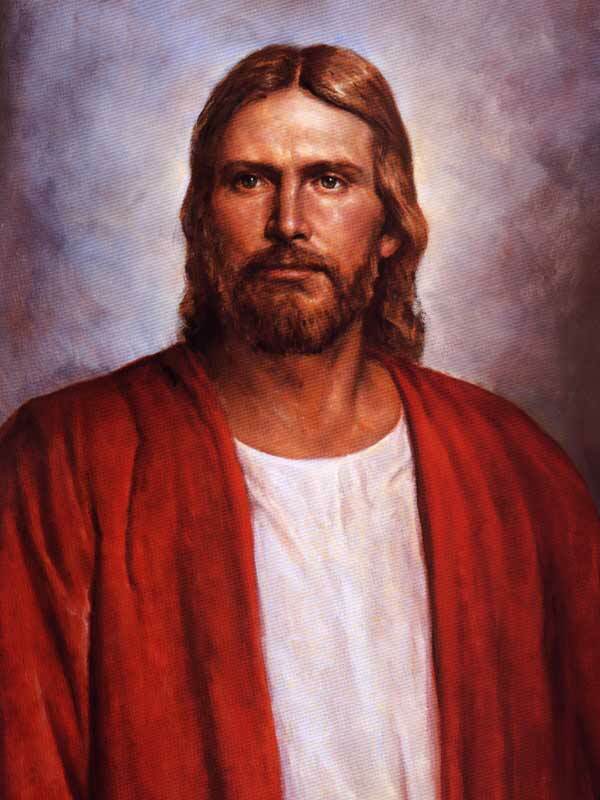 Members of the Church of Jesus Christ or Mormons believe in modern-day apostles and prophets and that the mysteries of Jesus’ kingdom can be made known through them. One mystery that many people from other faiths and also within the Mormon faith have a difficult time understanding is the temple ceremony and the ordinances and covenants made within the temple. Whoever is pure not only from all defilement, but from what are regarde as lesser transgressions, let him be boldly initiated in the mysteries of Jesus, which properly are made known only to the holy and the pure. This quote shows that in the early Christian church there were certain “mysteries” of Jesus only reserved for those who had prepared themselves spiritually. Furthermore, it mentions an initiation process. Modern-day LDS temple ceremonies are similar to this concept. Within the Mormon temples LDS members who have prepared themselves participate in ordinances and ceremonies and make covenants with God that could be compared to the initiations mentioned by Origen from the original Christian church. What happens inside the temple is very symbolic and in order to understand the ceremonies and ordinances one must be spiritually prepared and willing to receive the “mysteries” of God. If one hasn’t taken time to prepare spiritually, it will be hidden from our view much like those of Jesus’ day who did not understand His parables. My first temple endowment experience was very overwhelming and confusing to me. Upon entering the temple I hadn’t properly prayed, studied about the temple and in the scriptures, and prepared for the experience. Therefore, it was very overwhelming and confusing. Looking back on it God didn’t reveal anything to me because it would have been similar to casting pearls before swine. I wasn’t humble and didn’t have the right attitude upon entering the temple. It wasn’t until years later when I had humbled myself more and taken time to pray, prepare, and develop the desire to learn the “mysteries of God” found in the temple that I started having amazing and sacred spiritual experiences within the temple. It is my testimony that if we prepare ourselves before going to the temple we can and will receive amazing communication from God and the sacred secrets He would have us know in our lives will be revealed. It’s been my experience that simply attending the temple, while spiritually rewarding, does little to augment one’s understanding of the rituals performed there. Like you, my intial experience was confusing. I felt somewhat conflicted. Everyone can grasp the meaning of the sacred covenants made there. But, what is the endowment all about? What is the meaning of ritual that seems to have little to do with doctrine and custom practiced and taught outside the temple? I was very uneasy about finding myself engaged in completely foreign rites. I vowed then and there to make every effort to understand what it all meant. I’ve found, like Nibley, that only by studying historical sources outside the temple can I come to know the meaning of temple symbolism and ritual. For example, if you haven’t studied “ascension” texts, you cannot know the full meaning of the temple experience for it is a one-to-one reflection of what we see in those ancient accounts. Further, only in studying the temple rituals and meanings of ancient cultures do we see the similarities and meanings in our own. That makes good sense when we consider that LDS temple ritual is a “restoration” of sacred rites from the past. The “secrecy” part is interesting, when viewed from the prophetic tradition. Once investigated, there is virtually nothing secret about our temple rituals or ordinances. They have been practiced by a variety of cultures from hoary antiquity – including the Egyptians, as Nibley was fond of pointing out. And the ancients didn’t mind explaining their meaning. It is we, blinded by the scotoma of our culture, who make a mystery of it. Living in a culture that has assiduously divorced itself of almost all ancient rituals and beliefs because of their seemingly bizarre and pagan imagery, we are totally ignorant of the ancient temple traditions and their cosmological origins. Only Joseph Smith seemed to recognize their validity, since he accurately incorporated ancient temple rituals and symbolism in our modern temple tradition. But I do agree with the notion that we not share this information with those who will not hear it or see it. That’s probably why we are counseled to not share it. Although I must confess to breaking that rule on occasion, when I try to teach my fellow Mormons what their temple ceremonies are all about. Thanks for stopping by. I think the majority of people who go through the temple “cold turkey” are very confused and I think some have event fallen away because of it. You bring up some good points and also share good examples of how one can learn the “mysteries” of the temple. For those of us who may still be trying to figure things out, what books would you recommend to help people know more about the temple ceremony and the “ascension” texts you mention? (Grin) It just so happens that I’ve written extensively on this and related subjects. You can learn more at my website (www.mormonprophecy.com) and my blog (www.mormonprophecy.blogspot.com). Read my most recent posts there for temple information. Thanks for your interest. Remember that Paul was writing in a time when “mystery religions” were very popular. These were for the elite and the well-connected; they were initiations that brought a person through stages of life. Paul knew his audience and that many would have bought into some of the more popular ones. The Elusian mystery, for instance, would have been familiar to many of the Corinthians, since that mystery religion was centered in Athens, the heart of Greek culture. Paul did not borrow from them in anyway, but we expect that he was pointing out how God indeed brings salvation by way of a particularly mysterious way: through Jesus Christ–that God would care for our fallen race and give his only-begotten Son to die for us and be raised again, so that through the sacrifice of Christ we would have eternal life in his name. And yet, St. Paul mentions that the church itself is a mystical communion of the body of Christ. And so, by these words, Paul commends Timothy and all pastors to be “stewards of the mysteries of God,” for by these things disciples are made and salvation is given. As to whether the temple ceremonies belong to the mystery of Christ, most Christians would submit that they belong to the mystery that surrounds Joseph Smith and other apostles. Hope some find this helpful. I appreciated the comments left by Ezra. I believe the mysteries of God are things that we with our finite minds can not understand or comprehend. They are not “secret” but a mystery. For example the mystery of “how” Christ dies and rose in 3 days — who can wrap their human minds around that one? That is a mystery! 2. The mystery of the translation of the living saints at the end of the church age ( 1 Cor 15:51-52, 1 Thess 4:14,17) More commonly known as the “rapture” of the Church, and has yet to occur. 6. God’s mystery that is “Christ himself” ( Col 2:2, 9,1 Cor 2:7) This involves Christ as the fulness of the Godhead in bodily form. These are some example of “mysteries” … they are not secrets per say – but things that we with our finite minds may truly not understand. I am not sure where one makes a correlation between mystery and secret? As there really is none. Though, I have no idea how most things in the universe function I am satisfied to take advantage of the beneficial phenomena and not stress my simple mind with the schematics of the mysterious. Heavenly Father has promised to make known to me all things…in his time and since, according to Wilford Woodruff, we are only in this probationary state for a matter of days, I choose to be patient. I am overjoyed at the insights and epiphanies but I have found that accepting that Gods power and glory is beyond my comprehension is the simple answer to so many of the mysteries of the world. Thatnks for stopping by again and for the great insight. One point that you bring up which many LDS readers will relate to is the fact that mysteries (or sacraments) are essential for Christ’s church. For the LDS Christian, Baptism, the baptism of fire (receiving the Gift of the Holy Ghost), and communion (or the sacrament in LDS lingo) are all necessary in entering into the kingdom of God and maintaining a relationship (although communion isn’t necessary it is implied). I think many Christians have disregarded the fact that Jesus himself said baptism and receiving the Holy Ghost are necessary. You also said most Christians would agree that the temple ceremony is from Joseph Smith. I would also agree with you on that and even say that many Mormons would feel the same way. Personally, I haven’t done as extensive research as some have on the subject, but the little that I’ve read shows that there are hints of things found in early Christian times that people in the temple do but one has to search for it. I believe a decent resource is the templestudy blog. If you’re interested in seeing early Christian evidences of the temple he posted a pretty interesting picture a couple weeks ago from a 14th century Christian that has a lot of things in the painting that are very similar to what we do in the temple. You bring up some great points and as I was searching through scriptures I came to the same realization that there are many examples of mysteries. The comment you make of mysteries are things that our finite minds may not understand is right on and that was the point I was trying to make by sharing the example of Jesus giving parables. In my opinion, the temple is like a parable and if I go there without praying and humbly seeking to have the Spirit speak to me my finite mind doesn’t understand it and I am confused. However, when I prepare and pray before hand I’ve found that in many cases the Spirit speaks to my heart or mind in ways that I can’t explain and not only is it a mystery, but a miracle. I appreciate your perspective as well. The scripture tell us in some instances to wait and be patient and all things will work out for our good as you mention. However the scriptures also tell us to search and pray about revelations and to learn and study. By doing so we come closer to God. I suppose the best way to go about it is to combine both approaches. we should do all we can to learn and develop a relationship and understanding of God, but patiently wait for Him to reveal truths to us in His time. I mentioned the templestudy blog and actually came across an excellent post he wrote on this exact topic about a year ago. He brings up the point you do about mystery meaning “sacrament” or “ordinance” and how it evolved into meaning “secret” by the 2nd century. He also discusses how the temple ordinances fit in with it all. ama49, you said well what is the very truth! “What happens inside the temple is very symbolic and in order to understand the ceremonies and ordinances one must be spiritually prepared and willing to receive the “mysteries” of God. If one hasn’t taken time to prepare spiritually, it will be hidden from our view much like those of Jesus’ day who did not understand His parables. What is the ‘Mysteries of Godliness?’ It is nothing more or less then the path required to become godly. Yes, it was given in the most perfect parable of Joseph Smith’s age (time), and stands as his greatest legacy of instruction ever given to that generation, and what remains pasted on down to this current generation. Sadly to say, I have never yet meet one person who has personally come to understand this parable, though I have meet a few saints (servants) who had guested at some of the steps required, the parable totally aside. So, here is the real questions, ‘What is the Mysteries (meaning “sacraments” or “ordinances”) of Godliness? What is the length and breath of eternity? How many Eternal Lives is require to become a co-equal hire of the kingdom? And why does no one and I mean no one understand this Parable? Please excuse my words if they offend, I am not here to tickle your ears, I seek the eternal true and pray I have to wisdom to receive it where ever I find it. I wish to converse with those who are “spiritually prepared and willing to receive the “mysteries” of God”… to use your own words :). Please excuse my words if they offend, I am not here to tickle your ears, I seek the eternal truth and pray I have the wisdom to receive it where ever I find it. I wish to converse with those who are “spiritually prepared and willing to receive the “mysteries” of God”… to use your own words 🙂 .